Aura Reading Grad doesn’t need an aura photo like this to tell that something changed, due to gaining energetic literacy. Because her LIFE changed. Learn how. Aura Reading Grad shares a guest post today. Let’s share in her celebration. Especially exciting since, very recently, I’ve launched a follow-up workshop, Read Auras from Regular Photos. That’s Aura 102. As for the shiny, new list of my workshops for 2018? This has gone live as well. Five completely new workshops! Of course, many details will follow. But here’s what’s relevant to today’s guest post. 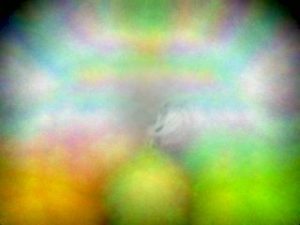 One 2018 RES Workshop can teach you Soul Thrill® Aura Research. Nope. Simple. It works. The technology to deliver these workshops really does work. Aura Reading Grad, Who Celebrates? And now you know why I do as well. But you may celebrate too. By indulging curiosity, reading this guest post. What was the impact on Gladys of gaining this skill? Since learning energetic literacy is just the start. May the doors to life’s gigantic Aura Library open! Because Gladys has just completed Aura 101. Teaching her how to read auras with her personal gift set. Choosing from a variety of techniques. And graduating with a large set of chakra databanks to read. Going through the entire sequence of 36 lessons? No lesson or assignment or quiz is ever difficult. However, completing this course takes persistence. Here’s an earlier guest post, the very first “Aura Reading for You” graduation essay. Also for fun, here’s a link to the five-lesson, free-and-clear, Aura Intro. Where’s the biggest fun, though? With people. People take this workshop. Not “just anyone.” So maybe you’re curious about the impact of aura reading on Gladys. Here goes. A giddy and a proud graduate over here! This online workshop has been a part of my life for a while now. I’m so going to miss your lessons and assignments, simply sharing my day with you, Rose. I truly felt like I was part of a community but in the comfort of my own home. Aura Reading opened up a complete new world to me that was actually here all along. One of the biggest changes I’ve noticed is this: I slowed down. The design of the lessons gave me the nudge to take a breath. And follow the techniques step by step. In doing so, they became natural and comfortable. Rose, your parting gift in Lesson 36, is full of treasures 🙂 I’m so excited to unfold each one and discover them slowly each day. The experience of successfully reading auras had many ripple effects through out my daily life. I have a stronger self-confidence. And deeper compassion towards others. Especially towards myself. Co-creating with a Divine Being always leaves an imprint within me. There is this underlying very subtle sense of joy that keeps growing in everything I do. At the beginning I was quite hesitant to actually do the techniques and read auras. From many sessions with Rose, I knew they were safe. And that they truly worked. Once I took the leap, a bold new way of living opened up for me. My curiosity towards life, Earth and every part of it sparked again. This online workshop provided such a strong foundation and tools to build upon. I’m excited to discover more. And grow as a person along the way. Aura Reading Through All Your Senses® is truly first of its kind. Immense gratitude, admiration, and respect for Rose for the dedication it took to bring it forth to the world. I too find that the qualities you mention continue to grow wider and deeper with time. VALERIE, thank you so much for your appreciative comments today. As one who knows you, I can attest that you’re telling the truth in that Comment #2. Here’s some fresh news, Blog-Buddies. Earlier this week, the Workshops page at my website just went live with a listing of all five workshops I’m inviting you to attend in 2017. Well, minutes ago Workshop Manager Mitch turned the first of those five workshop names into a juicy, hot link. Click here for details about the Soul Thrill® Aura Research Workshop, in-person, teaching an advanced — but definitely learnable — skill of energetic literacy. An RES Workshop I’m aiming to first-time teach in 2018. I use these skills from Aura Reading 101 all the time. Aura Reading for YOU is so powerful for discerning the truth. For instance, a few weeks ago I broke up with a friend. A few things were said about me that made me feel terrible about myself. Luckily, I have these skills and I read a few chakra databanks. Suddenly, I began to have a lot more love and compassion for myself. Reading my own aura, now that I’m in Enlightenment, is even a greater joy. I’m reminded that, regardless of how other people feel about me, I like myself. I enjoy being human and I get to experience it with God. I’m looking forward to discovering the other workshops. From one Gladys to another, congratulations!! Congratulations to you as well! Its comforting to be part of this supportive community. This was lovely to read. Congratulations Grad!